Our pan ready Dover sole is made of the Solea solea. This fish is also known by the names common sole, slip and black sole. In Italy they use the name ‘Solea vulgaris’ for the fish instead of ‘Solea solea’, which may cause some confusion. However, ‘Solea solea’ is the actual Latin name for the fish. The Dover sole lives in the Eastern Atlantic Ocean, which is also known as FAO fishing area 27. You can find the fish in the Mediterranean Sea too. The Dover sole is most commonly found in the North Sea. Especially around the winter the fish goes to the somewhat warmer waters of the southern North Sea. Since the North Sea lies next to the Netherlands we mostly catch our Dover sole ourselves with our own Dutch fishing fleet. However, sometimes we have to buy the fish at various fish auctions. After the Dover sole is caught we immediately process and deep-freeze it to keep it fresh. Pan ready Dover sole is quite beneficial for consumers since it is easy to prepare in the kitchen. 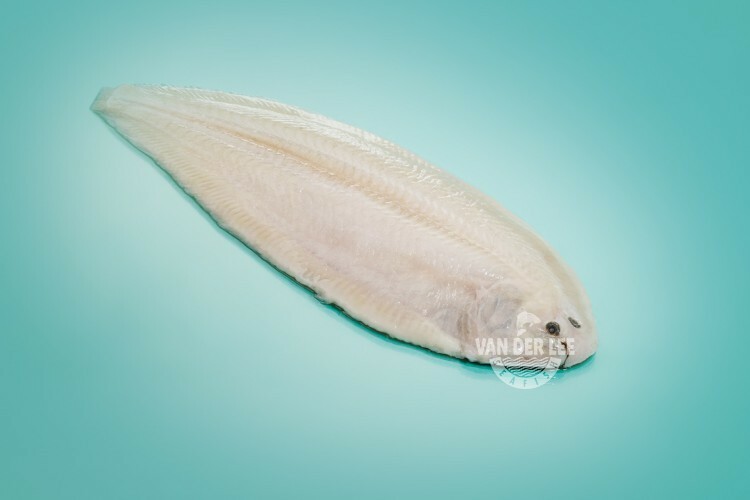 As a supplier we have pan ready Dover sole available in all sizes and we sell our pan ready Dover sole skinless, with its head on and gutted. We also have whole round Dover sole available at our ‘North Sea Fish’-page. The Dover sole is quite well-known for its mild, buttery and sweet flavour. The fish is at its best in the autumn, which is why a there is a lot of trade in Dover sole around that time. The Dover sole is low in saturated fat and also low in calories, since one hundred gram of the fish only contains around 79 calories. Just like every fish product, Dover sole is a good source of protein, B vitamins and omega-3 fatty acids. Omega-3 fatty acids are good for your heart since they help preventing heart diseases. Our pan ready Dover sole does not contain any carbohydrates, unless you bread or batter it of course. Dover sole is commercially a very important fish. This is why we export our pan ready Dover sole to a lot of different countries, including the United States. However, some of our pan ready Dover sole is sold to our own country. There are also various ways to prepare pan ready Dover sole. The most famous dish is probably the sole meunière. This is a classical French dish which consists of Dover sole dredged in milk and flour, fried in butter and served with a brown butter sauce and lemon. Another way to prepare the pan ready Dover sole is to make a Dover sole piccata. However, pan ready Dover sole tastes delicious too when you bake it with herbs and butter or when you serve it with vegetables.